We manufacture high performance evaporators to cater to various industrial needs. 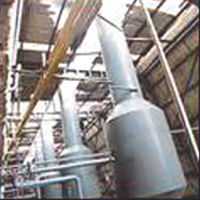 Evaporators are available with different specifications. The different types of evaporators available for varied applications are rising film, folling film, thin film, and forced circulation type.